Oxalic acid is a colourless crystalline organic solid compound assay greater than 99.4% and dissolves in water to give colourless solutions. 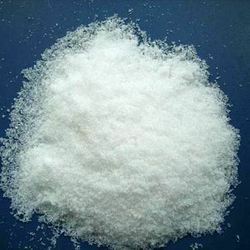 Oxalic acid is mainly used in cleaning or bleaching, especially for the removal of rust. Other applications are for dying processes, for making cleaning liquids, for electrical instruments, for deposition and separation of rare-earth metals, for water treatment, for bleaches, especially for pulpwood, timber cleaning and restoration. Oxalic acid is an important reagent in lanthanide chemistry. Hydrated lanthanide oxalates form readily in strongly acidic solutions.